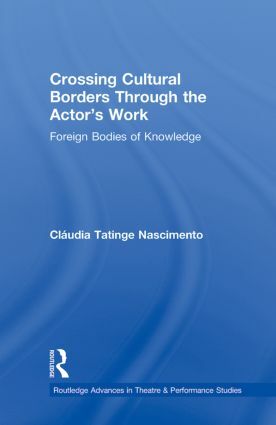 A sophisticated analysis of how the intersection of technique, memory, and imagination inform performance, this book redirects the intercultural debate by focusing exclusively on the actor at work. Alongside the perspectives of other prominent intercultural actors, this study draws from original interviews with Ang Gey Pin (formerly with the Workcenter of Jerzy Grotowski and Thomas Richards) and Roberta Carreri (Odin Teatret). By illuminating the hidden creative processes usually unavailable to outsiders--the actor’s apprenticeship, training, character development, and rehearsals--Nascimento both reveals how assumptions based on race or ethnicity are misguiding, trouble definitions of intra- and intercultural practices, and details how performance analyses and claims of appropriation fail to consider the permanent transformation of the actor’s identity that cultural transmission and embodiment represent.